The Magistrate’s Court in Gozo ordered a carpenter to pay for the difference in price of replacement of doors, after it was established that bad workmanship was carried out. This was held in a judgement delivered on 12 June 2018 by Magistrate Dr Joanne Vella Cuschieri in the case Jesmar u Rose konjugi Tonna v Mario Parnis. The Tonnas had asked the court to order Parnis to refund €3,200 which sum represented payment of wood works carried out in his home. They also asked third parties to carry out the remedial works at Parnis’s expense and also for Parnis to pay damages. Mario Parnis, the defendant, filed a statement of defence, denying that the works were not carried out well and the Tonnas accepted the doors. Parnis also held that the claim was time barred. The case started off in December 2012 when the plaintiffs ordered from the defendant seven doors with frames and some shelving. The bill amounted to €5,700 per door and €150 per frame. Magistrate Dr Vella Cuschieri disagreed that the action was time barred. The defendant failed to indicate under which article of the law was the action time barred, however, in the submissions he indicated Article 1390 of the Civil Code which refers to things not according to the stipulated quality which has no prescription period. The plaintiff had presented an affidavit wherein he listed the defects found and reconfirmed that he paid the defendant €3,200 as a deposit. Joseph Briffa also presented an affidavit wherein he said he inspected the works and found that in parts there was spray missing. In order to do the work again he gave an estimated cost of €6,786. The Court expert, Joseph Borg, in his report told the court that part of the doors had to be treated and needed to be sprayed agan, parts had to be changed also. As to the frames, Borg found more defects and these needed radical repairs. The defendant testified that he had already done works for the Tonnas and there were no complaints. When he took the doors, he was paid in part, however, the work was still incomplete. When the door and the frames were placed, he was paid and at this stage the plaintiffs made further orders for an arch. When this was fixed, the plaintiffs complained that there was a difference in colour. In discussions the parties had the defendant offer to make amends to the arch. The court held an on-site inspection and Magistrate Vella Cuschieri saw for herself each door and noticed there was a difference in colouring and that the frames were damaged and that the light could be seen from the wood. A particular door was fixed at an angle and therefore, was not straight. The Court was convinced that the works were not carried out skilfully. The Court also agreed that the doors should be removed. 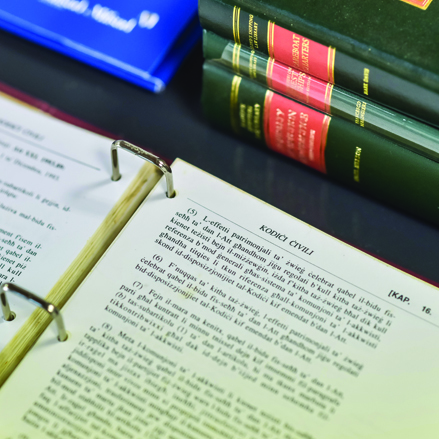 The court agreed that the deposit of €3,200 should be returned to the plaintiffs and that the defendant should take back the works he carried out, except for the shelves. The Court also ordered that the defendant should pay for the difference in price that the plaintiffs should pay another carpenter to order new doors. According to the court expert this should amount to €1,050.